With a fight card filled from top to bottom, it is no brainer why UFC 126 is a must-watch event. There is the middleweight championship title on the line, and three of the notable light heavyweight fighters in the world. Definitely, there will be a lot of action to go around once the opening bell strikes. Here are five reasons why you should watch UFC 126 on February 5. The UFC-WEC merger is one of the best things that happened in MMA this year. And with that, UFC gets two additional weight class, the Bantamweight and Featherweight. At UFC 126, fans will get a chance to see two highly touted Featherweights, as Chad Mendes faces Michihiro Omigawa. Chad Mendes is currently undefeated with a record of 9-0, while Michihiro Omigawa is carrying a five winning streak in his resume. Simply put, this bout will a high energy-paced strategic battle that will keep UFC 126 rolling. Japanese sensation, Notifumi Yamamoto, will make his UFC debut and will face WEC veteran, Demetrious Johnson at UFC 126. With Yamamoto bringing the heaviest hands in the Bantamweight division, and Johnson coming from a submission win, this Bantamweight fight can be a quick one. So make sure that you don’t blink during the clash. Forrest Griffin is fresh off a repose for over a year, as his last fight was a split decision win over Tito Ortiz in 2009. Rich Franklin, on the other hand, is coming from a victory over Chuck Liddell last June. Both fighters are former UFC champions, and they will need another victory at UFC 126 in order get back to the ladder. Hence, this will be one of the most entertaining fights in the event as both fighters will try to get back on track. Pitting two of the best light heavyweight fighters in the world, this match-up can secure a number one contender spot for the winner. Ryan Bader will step inside the Octagon with a perfect 12-0 record, while Jon Jones will come into this fight with all the hopes that a future champion could acquire. Simply put, the Ryan Bader vs Jon Jones fight will be an intense battle from the moment the bell sounds. The main event of the evening could turn out to be one of the best title fights of the year. 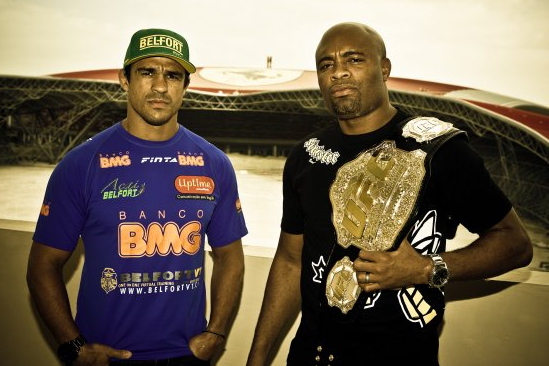 Vitor Belfort will definitely use his lightning fast strikes and unmatched level of experience in this fight night. He will need all the stars to align as he takes on the pound-for-pound fighter, Anderson Silva, at UFC 126. Anderson Silva, who’s currently undefeated at 12-0 and has the most consecutive title defenses with 7, will use his unpredictable and vast repertoire of strikes in order to set his opponent up for the knockout. Either way, this middleweight championship bout will not be cut short on excitement.